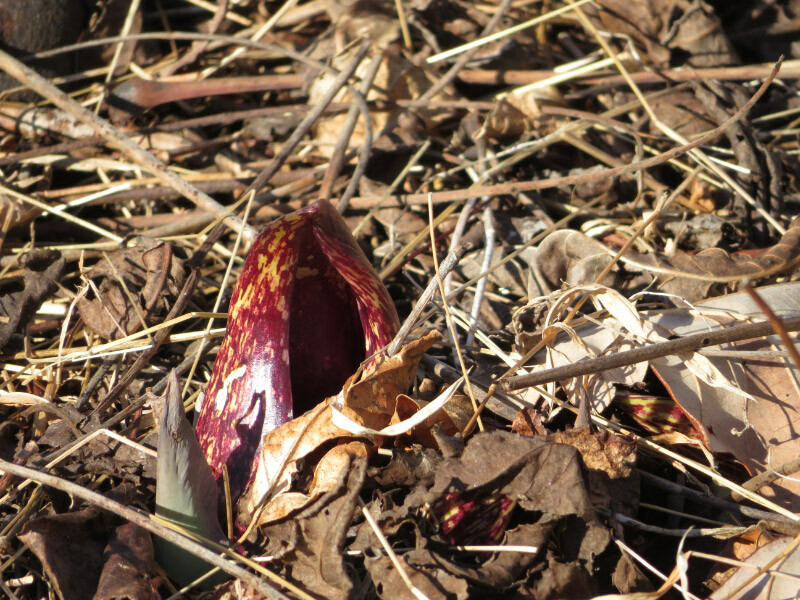 Yesterday I was at Howard County Conservancy’s Mt. 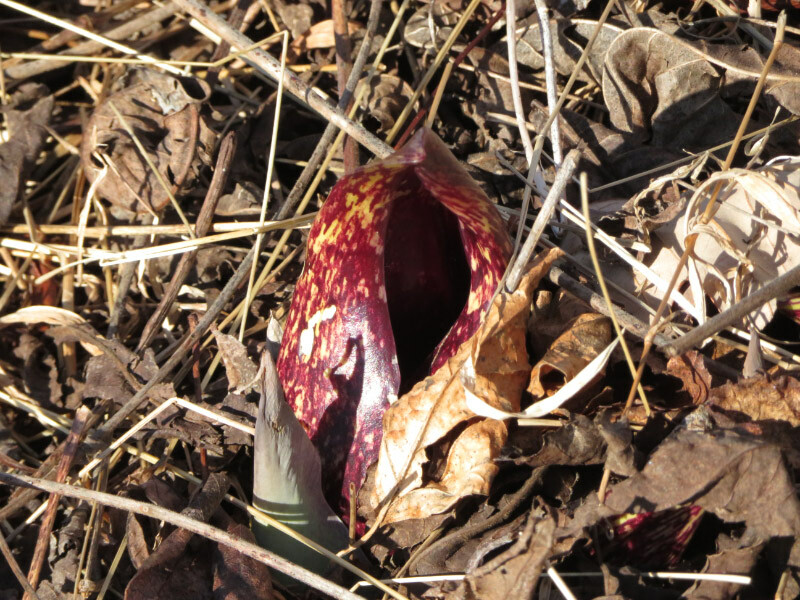 Pleasant Farm and hiked down to take another look at the skunk cabbage. It had progressed a little since I saw it three weeks ago (post with pictures here) but it wasn’t a far along as it was on February 11th last year (post here). 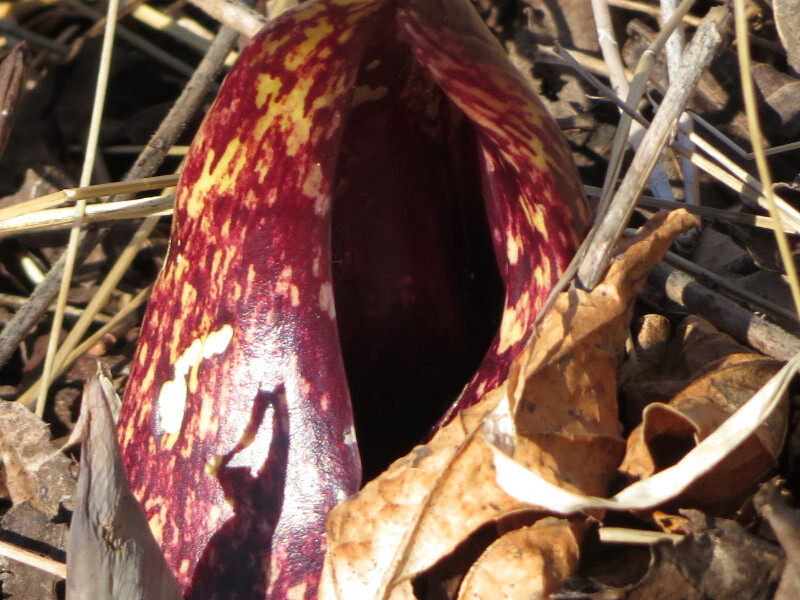 There were spathes (hood structure, wine with vertical lighter speckles) but I didn’t see any with visible spadix (looks like a golf ball inside the spathe). 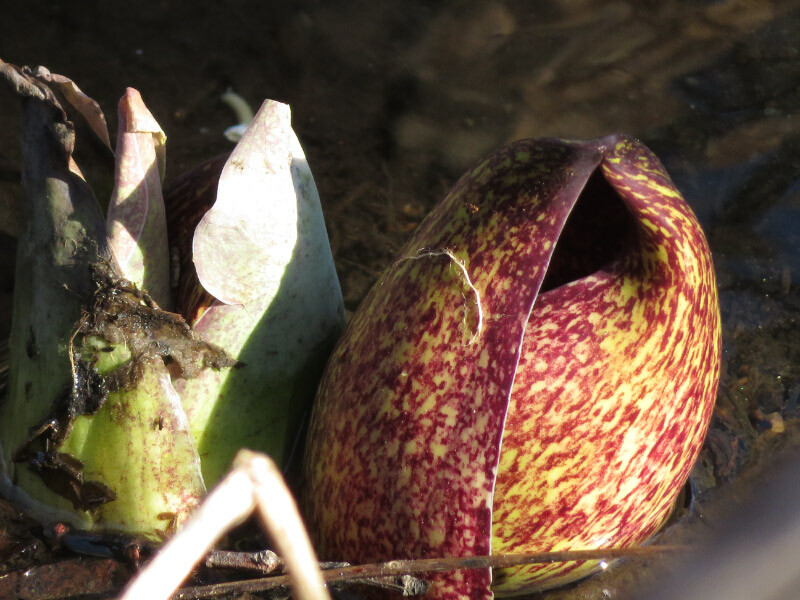 When I first got to the location where I always see the skunk cabbage, I had a hard time spotting it at first. 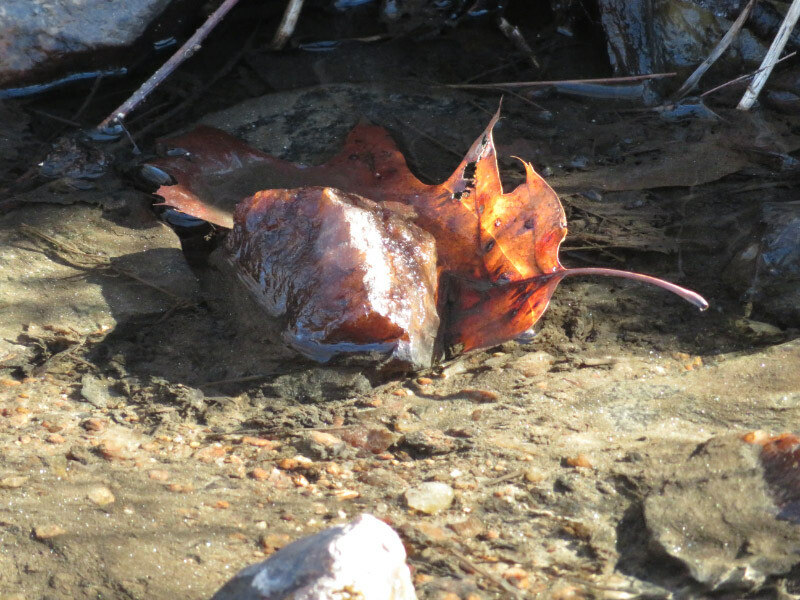 They like to grow near the water and this time a year, they can be some of the more colorful things around although one ‘color’ I spotted turned out to be a wet rock and oak leaf with the sun shining through – glowing. Then I started seeing them everywhere! 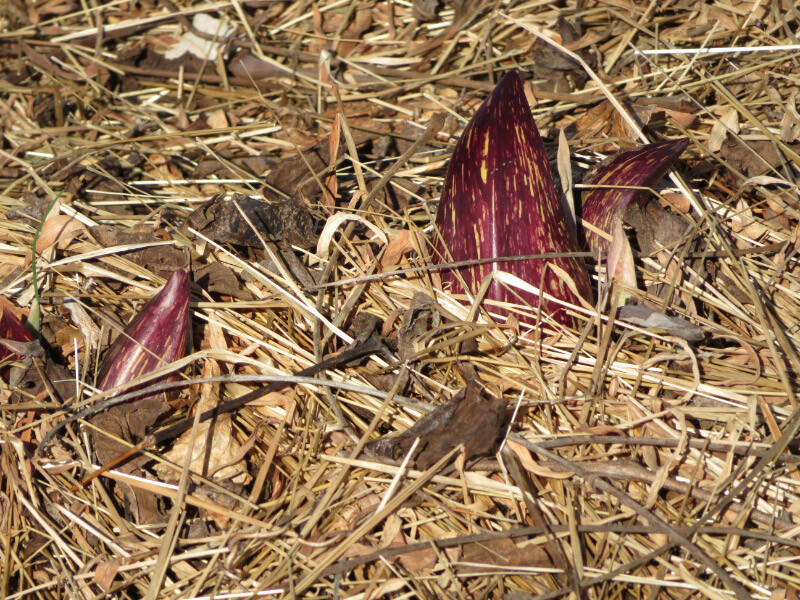 Sunk cabbage is one of the earliest ‘wild flowers’ and in some cases will pull itself deeper in the muck if the weather becomes really cold. 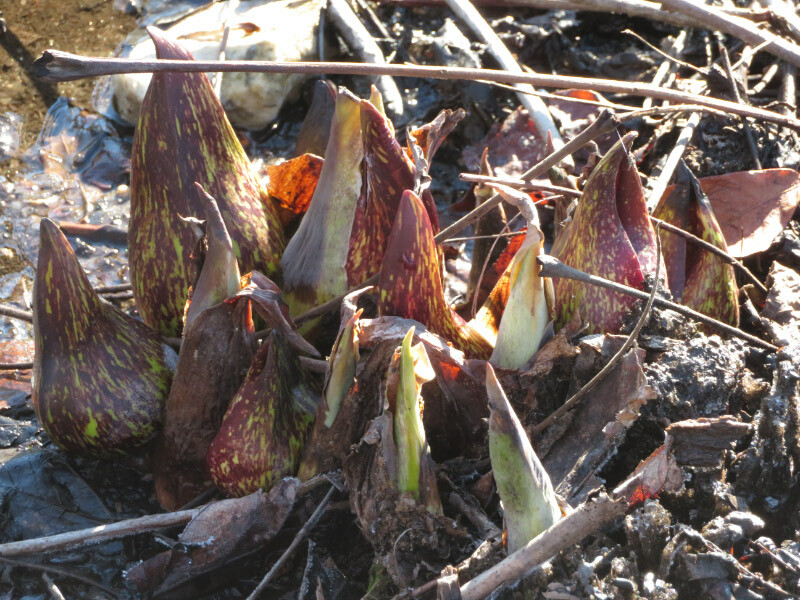 With the amount of muck around some of them – I think our weather recently might have been slowing down their development – they had to deal with cold rather than bloom! Earlier this week, it rained a lot and there were plenty of deer tracks on part of trail where it had been very muddy. Unfortunately, there were some deep ruts made by a vehicle that closed one of the trails…very sad that someone was so thoughtless, and it is not the first time it has happened. Hope the person is caught and prevented from doing it again.